Quality and safety are at the very core of ASCPS Yagody Karelii work, controlled by Frombio Oy. How do we regard quality and safety questions? In order to fortify consumer confidence we control all the stages of production starting with high requirements to primary goods. These requirements meet the same set in Europe. The production facilities are fitted with the most modern technological, production and packaging equipment. We own manufacturing and storing facilities and truck fleet completed with refrigerating systems for safe product storing and transportation. Where and how do we purchase berries? We purchase fresh berries from local people within Republic of Karelia; this region is deemed to be one the most environmentally pristine and safe. We are located in the very centre of wild berry and mushroom vegetation - it is natural habitat for lingonberry, bilberry, cloudberry, blueberry, crowberry. We purchase berry through a system of organized drop-off stations in order to provide immediate day-to-day freezing at the places before transportation the goods to our factory. Each our station is equipped with a freezer completed with deep freezing tunnel. 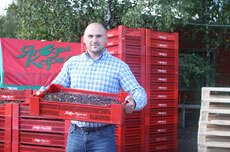 Batches of orderly frozen and packed berries are transported to the main factory in Kostomuksha where they are cleaned, sorted and processed. We own truck fleet with cargo capacity from 1.5 to 20 tons. It allows us deliver fresh berry to the factory immediately. Our system of quality control and on-the-spot (immediate) deep freezing increases quality of our products essentially. It also gives us a chance to decrease costs associated with purchase and transportation, ensuring stable berrying and competitive edge in the wild-growing goods market. How do we keep berries wholesome all year round? We use technologies that allow us freeze berries within minimal time frame inside deep-freezer tunnels using cold air blast-freezing technologies - the temperature inside is - 40°С with average wind speed of 3,6 meters per second. We freeze the berry to the -18°С at its core. It lets us to save quality, organoleptic properties and nutritive values. We keep berry body and taste, and we succeeded in decreasing the losses of juice during defrosting owing to keeping the intercellular structure intact. That is possible thanks to the fastest freezing process. How do we clean and sort berries? We ensure top-grade cleaning process by using technological line CabinPlant (Denmark) with a capacity of 5 tons per hour. Small, unripe, overripe berries are gradually sorted out as well as fruitstalks, leaves, stones and other forest waste. During the first stage of clearing berries pass through a system of sieves, where the berries that don’t meet the size standards are sifted out. This stage also ensures clearing from any possible metal waste owing to use of powerful magnets. Later the berries pass through windblast processing to guarantee clearing from light forest waste like leaves or moss. The whole process - from passing the berries onto the line to packing them into bags and pallet handling - takes about 10-12 minutes. During the time the berries absorb a little warmth from the air, so it’s necessary to refreeze, thus the line is equipped with fast-freezer (the inner temperature is -40°С). After fast-freezing the berries are passed inside a special unit that guarantees top-grade fruitstalks removal. Then the berries get to the sorting unit equipped with BUHLER (UK) и TOMRA (Belgium) machines, where they pass through electronic inspection (optical, laser, LED and infrared cameras are used). The berries are sorted by color, size and shape. Berries that passed the inspection are moved to the control vibrobench and go through indispensable visual check (inspector has the right to stop the whole line if defect occurrence is unsatisfactory). The last stage of handling the berries supposes automatic packaging into craft paper bags (25 kg), corrugated boxes (10kg) or retail packaging for consumers (bags and packages of 200-300 g). Each piece of package passes through metal detecting archway in the end of the line. We passed production and social audits time and time again and we proved our worth as a reliable partner. 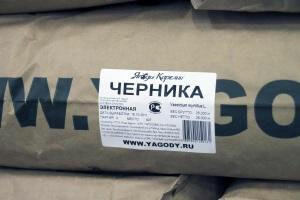 We supply our berries to many factories and companies. High quality of our product is well-known and we guarantee reliability and safety of our production process. How do we make berry nectars, drinks and syrups? We use only the northern berries (either fresh of quick-frozen) that passed preliminary clearing and sorting for making “Karelia Berries” products. Wild berry juices – nectars and drinks - are valuable food products with high palatability and major content of vitamins and minerals. Frozen berries are defrosted, parboiled, smashed, pressed, then they pass the fermentation process and get to the multi-press by Bucher (Austria), its capacity is up to 10 tons per hour. Our new bottling line (the capacity is up to 6 thousand bottles per hour) provides bottling the hot juice/drink and sealing it off. 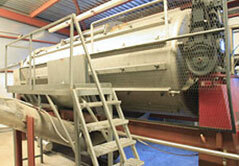 Then the process of forced cooling takes place, the temperature is controlled thoroughly on every section of the line. We use special method of pasteurization which allows us to preserve vitamins, minerals and minor nutrient elements. We take into attention that not only the temperature of pasteurization destroys vitamins, but also oxygen, so the whole process takes place in vacuum. When juice cools there is vacuum environment under the cap. Thus longer shelf life (up to 2 years) is achieved – without adding preservatives or using sterilization process. How do we make berry juices, purée, jams, and fillings? Frozen berries are defrosted the same way as during the process of juice-making: they are parboiled, lightly smashed, fermented, but the berries skip the pressing stage. Then the berry mass gets to the pulping machine (pulp is separated from skin, seeds and pips) and the machine produces natural purée. Our technological capability allows us to produce different products basing on berry material – jams, marmalades, fillings. We pack our products both in bulk and retail packages. What retail chains sell our products? We constantly extend our line of retail products and cooperate with many retailers. 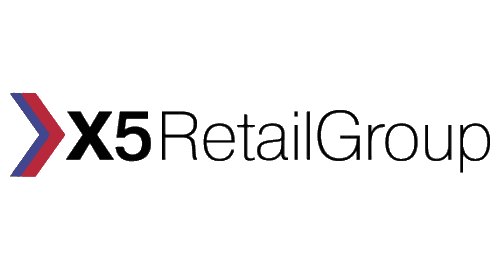 The list of retail chains where you can see our products is getting longer. Founders and employees of our company keep a healthy lifestyle and we are convinced that only the highest quality of products and refusal from using any chemical and artificial additives ensures health benefits for our consumers and success of the company. We do not treat this question as an advertising tool or trick. We process only the northern berry that grows in tough taiga climate, so we believe it embodies all the benefits of Nordic nature. Do we use quality control system? 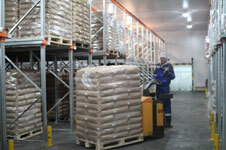 The company’s operations meet the HACCP requirements. 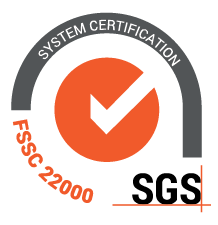 The system of quality and safety control according to FSSC standards 22000:2010 (ISO 22000:2005, ISO/TS 22002–1) let us guarantee the high quality of products and improve every stage of the production process. Every year we pass quality standard audit by international company SGS and prove that our operations meet the strictest standards in the sphere of food safety and quality management. How do we check for radiation background? 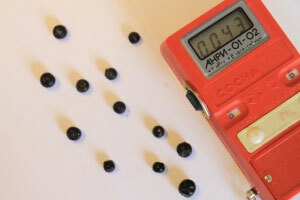 We pay particular attention to control of radiation background and we do not purchase berry and mushroom from radioactively polluted territories of Belarus and Ukraine. We are proud to supply the cleanest berries to kindergartens. 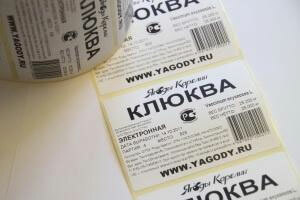 Do we provide full traceability system in the production process? We truly believe and follow the idea of full transparency and strict consecution of processes. 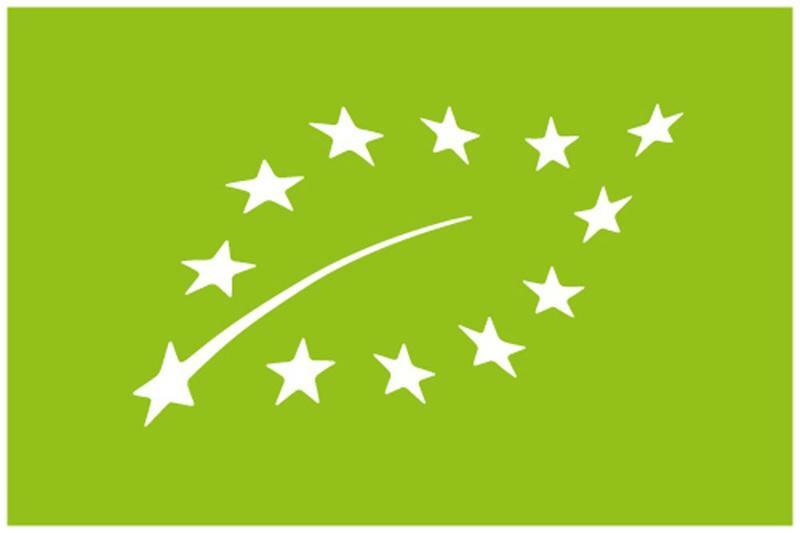 We developed, implemented and work with automatic system of tracking the production, which allows us to determine the supplier, the date of purchasing, the date of freezing, the date of processing , the person in charge and also to follow the whole chain of processing – all that with just one unique number on the package of final goods. This system provides transparency throughout the whole process and guarantees quality of our products. Do we have own lab? Our company has own accredited laboratory for product analysis and ensuring the highest quality of products of our brands. Constant cooperation with Scientific Research Laboratory of Michurinsk State Agrarian University (NITL MichGAU) allows us to develop and implement new technologies and new normative and technical documentation (technical specifications, instructions, organisation’s standards) for new products. We implement high-end technologies into berry processing and explore innovations. We’re aiming at keeping the value and uniqueness created for us by nature and we would like to pass them to our consumer. Berry is certified and completely meet GOST (All-Union State Standard) standard. We also developed Technical Specification based on correspondent GOST standards, but present stricter requirements to defining quality of frozen berry, its storing and transportation. We stand for higher quality rates and it allows us to guarantee usable shelf life as 24 months from the date of processing. 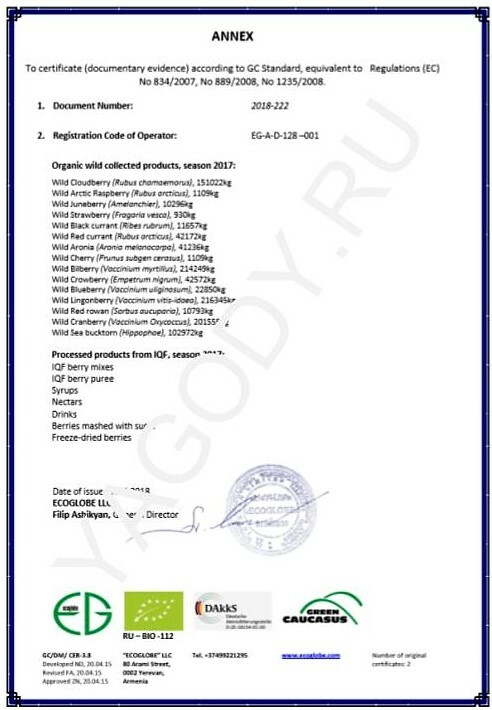 Our products with processed berry completely meet GOST (All-Union State Standard) standard. 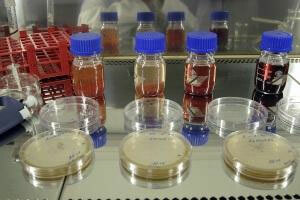 With help of our own accredited laboratory we control quality stability. In cooperation with MichGAU laboratory (Scientific Research Laboratory of Michurinsk State Agrarian University) we developed and implemented technical specifications (TU) and organisation’s standards (STO) which guarantee longer usable shelf life of our products. 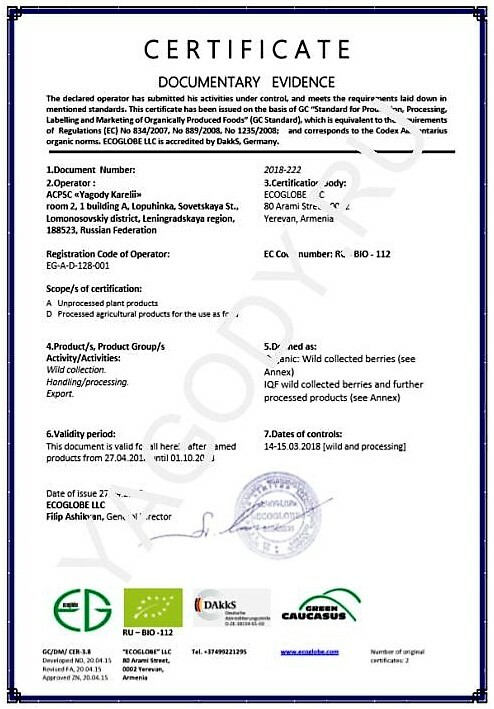 Processing company ASCPS Yagody Karelii works in cooperation with the acknowledged assessing european organization and we offer part of our wild products as organically certified. If you need organic products please contacts ASCPS Yagody Karelii for offer.